There is a common perception that the Muslim conquest of Palestine in the seventh century caused a decline in the number and prosperity of settlements throughout the country. The role played by archaeology in perpetuating this view, claims Magness, is particularly insidious, because it is perceived, rightly or wrongly, as providing “scientific” (and therefore “objective”) data. Thus, archaeological evidence is frequently cited by scholars as proof or confirmation that Palestine declined after the Muslim conquest, and especially after the rise of the Abbasids in the mid-eighth century. Instead, Magness argues that the archaeological evidence, freed insofar as possible of political and/or religious biases, supports the idea that Palestine and Syria experienced a tremendous growth in population and prosperity between the mid-sixth and mid-seventh centuries. Such a radical shift in the interpretation of the evidence guarantees that this volume will be a benchmark with which future interpretations must reckon. The book includes a CD with map and key, which provides additional information regarding the sites studied and the area examined. 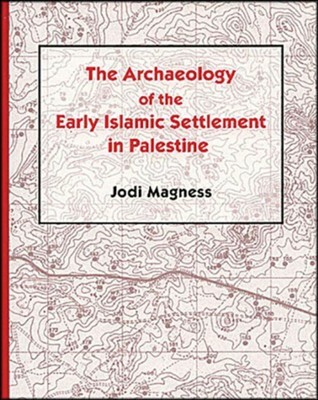 I'm the author/artist and I want to review The Archaeology of the Early Islamic Settlement in Palestine.